Who Is rob-ART, the mad scientist? Rob-ART is an experienced Mac performance consultant. He became frustrated with the performance bottlenecks of the Mac in the mid nineties. Since Mac publications tip-toed around the issues or made meaningless comparisons, in 1995 he started his own real world speed test lab and published test results on a website, BareFeats.com. The response was swift and positive. Each month Mac "speed freaks" gobble up the real world performance data generated by his testing. Thanks to advertising, affiliations, and donations, Rob-ART is able to play "mad scientist" full time. His beloved wife, soul mate, and partner through thick and thin is Bet-TAY. She is Special Features Editor for Bare Feats. She also helped Rob-ART care for his elderly parents until they both died. That experience was so profound that they collaborated on a web site telling about the experience called LoveYourParentsToDeath.com. Rob-ART's dad was a Pearl Harbor Survivor, so they also created a special web site to tell how that "day of infamy" changed one man's life for good: JoeMorgan.org. 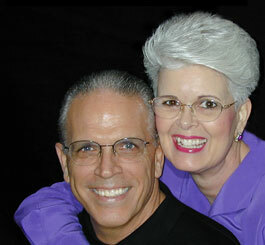 Born in Hawaii, Rob-ART had the joy of living there with Bet-TAY for many years. They now reside in Portland, Oregon. Rob-ART has dabbled in many things. One of his interests is in digital cartooning. He used Painter and Photoshop to enhance sample ink sketches you will find on his website called BarefootOnTheROCK.com. Bet-TAY is a gifted vegan chef. She spends much of her time maintaining her own website entitled "Chez Bettay, the Vegan Gourmet," (ChezBettay.com) where she shares her secrets and sources for easily preparing plant based gourmet meals.